Many of our realizations are built upon customers' requirements. The mechanical design of our systems allows us to build units of any size, either custom Sunirad light soakers, or Solixon solar simulators. 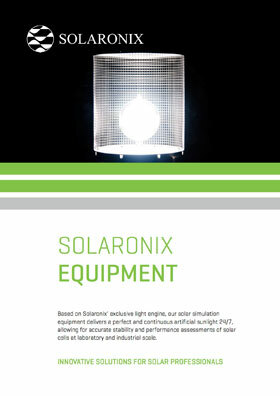 Our large area Sunirad and Solixon equipment consist of arrays of Lumixo light engines. The complete machine is then built for the targeted illuminated area specified by the customer. Thanks to our Lumixo light engine, our light soakers and solar simulators provide continuous and stable illumination. Sunirad and Solixon equipment can be ordered with a Class A, Class B, or Class C spectrum to fit every need and budget. Our basic systems typically meet the Class BBB required for most testing standards, while our high end systems meet Class AAA specifications. Continuous solar simulation implies that a considerable amount of energy is fed to the sample under test. Solaronix' range of simulators are fully engineering for full thermal control of your samples. Our sample holder can be fitted with thin-tube heat exchangers which circulates fresh air on the back side of the samples to accommodate virtually any shape of solar panel. The Sunirad units are designed for light-soaking and feature a thermostated sample holder for complete thermal control, be it room temperature or elevated temperatures up to 55±2°C. 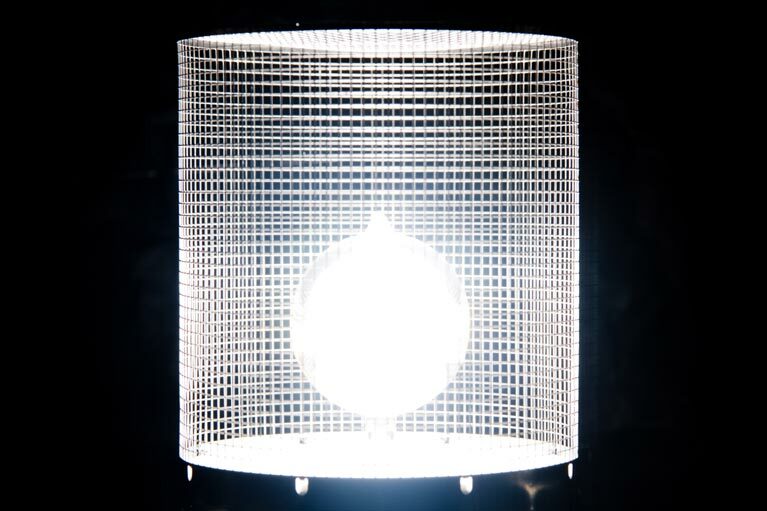 This exceeds the 50±10°C required by IEC 61646 to meet standard light soaking conditions. The Solixon units are designed for solar simulation. They rely on thorough thermal engineering to maintain your samples at 25°C to meet the Standard Testing Conditions (STC) required by IEC 60904-9. Your samples can also be held at elevated temperatures up to 55±2°C for customized testing conditions. This Solixon A-1525 unit was designed to realize solar simulation on a 250 x 150 cm area. The system relies on 20 Lumixo light engines to obtain Class A spectrum, uniformity, and stability.